Plenty of companies are building new stores and renovating existing locations. Adobe Stock /crewcut Brick-and-mortar retailers thrive by filling gaps not easily replaced by online suppliers: fresh food, need-it-now home-improvement and building supplies, and rural America. It’s no surprise that brick-and-mortar retailers are under pressure. Shopping malls, strip malls, big box chains… all are suffering thanks to the convenience of the Internet, with Amazon delivering virtually anything to your doorstep in a neat box, ready to open and use. In some areas of the country, Amazon delivers the same day you order. 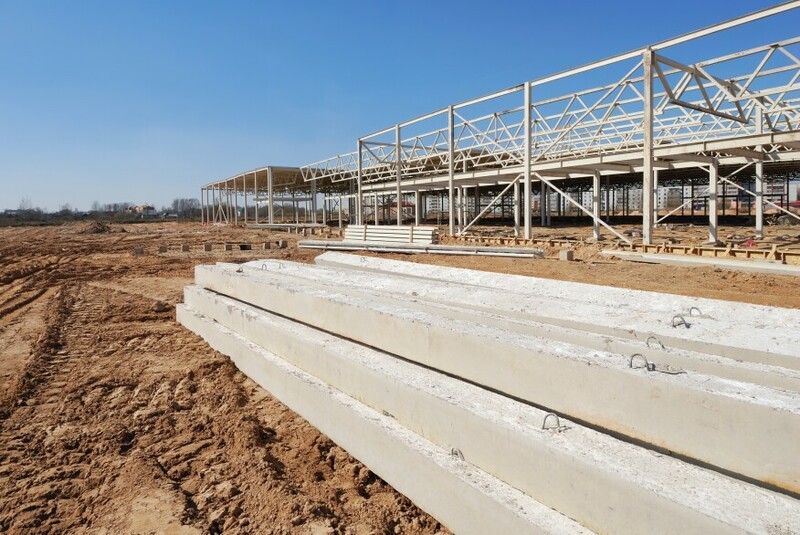 This disruption has affected construction of retail buildings, pushing copious amounts of vacant space on the market while developers chase the shrinking number of merchants, large and small. There have been other painful evolutions throughout history: The automobile slowly but surely displaced the horse and buggy in the 20th century; more recently, cellular telephony killed the land line business and digital imaging brought giants like Kodak and Fuji to their knees. We all have examples too numerous to recount here. However, while disruption may be an immutable reality, it’s important to remember certain fundamentals never change. And that means ready-mixed concrete producers shouldn’t panic. A recent Dodge Data and Analytics report on 2018 construction trends underscores this. Yes, online shopping is pocketing an increasing share of consumer spending, and even traditional retail giants aren’t immune. Walmart spent roughly $1 billion in 2018 on new stores, additions, and renovations; but that was 11% less than in 2017 – and 2017 was down 18% from 2016. Even so, Walmart outspent second-place ALDI U.S., a grocery store chain, by a ratio of 3-to-1 last year. Furthermore, not all retailers have pulled back. Competitive pressures kept some in expansion, or at least renovation, mode. ALDI built 2% more stores in 2018 for $311 million, and that was after a 77% surge in 2017. Third-place Target Corp. increased construction 183% in 2016, 52% in 2017, and 19% in 2018 for a total investment of $229 million. Given their stores’ large square footage, it’s not surprising big-box chains are well-represented among 2018’s Top 20 retail builders. Seventh-place Costco Wholesale Corp. joined Walmart and Target. In addition to ALDI (no. 2), three other grocery stores are on the list: Publix Super Markets (no. 5), Kroger Co. (no. 9), and, new to the U.S., Lidl (no. 17). Home improvement/hardware stores are also represented: Menards and Harbor Freight Tools, which brags of opening a new store every three days. Not all Top 20 have massive footprints, either: The list includes three fast food chains (McDonald’s, Chick-fil-A, and Taco Bell), two dollar stores, and two auto parts dealers. And, for those of us addicted to our morning coffee, Starbucks Corp. will soon be on even more street corners; the coffee chain is no. 14. Retail analysts view the profile of these leaders as those that will survive over the long haul. Why? Well, my wife and I haven’t figured out how to replace our local supermarket with online purchases other than staples; we shop for fresh meat, fruit, and vegetables at a brick-and-mortar store at least weekly. Do-it-yourself homeowners and small contractors stop in the middle of a job to drive to the nearest home center for a part. Dollar stores are locating in semirural and rural areas to supply a working populace far from large cities and online distribution hubs. Immediacy of need and location will prevail unless and until online sellers figure out a way around them. Thus, retail construction remains a part of the ready-mixed concrete landscape, with billions being spent annually. While it isn’t as large a part of business as in the past, it’s still an important market for producers across the country.